Breaking the Record: Public Records Under the North Carolina Public Records Act - Ward and Smith, P.A. 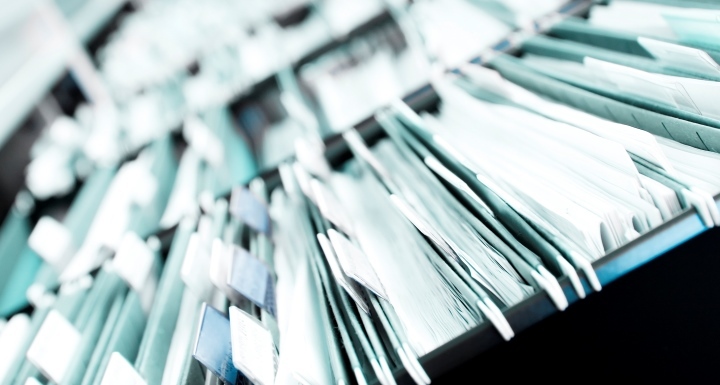 Public records can be important tools for a variety of business purposes. Need to know the winning bid for a similar government project like the one up for bid? Check the records. Need to know whether a business partner or potential customer is mired in lawsuits? Check the records. How about whether someone already has a lien on a piece of business equipment you are looking to buy? Check the records. All documents, papers, letters, maps, books, photographs, films, sound recordings, magnetic or other tapes, electronic data‑processing records, artifacts, or other documentary material, regardless of physical form or characteristics, made or received pursuant to law or ordinance in connection with the transaction of public business by any agency of North Carolina government or its subdivisions. In evaluating the scope of the definition of a public record, the North Carolina Supreme Court has stated that the rule as to public records is inclusion, with any exclusion being the exception. In simple terms, public records consist of nearly every "thing" that has to do with a public agency. What are examples of public records? Vital statistics, including birth, death, and marriage certificates as well as divorce and annulment records. While public agencies can charge fees for the production of certain records, these fees can pale in comparison to the costs of repairing the problems that a public records search would have avoided. What is an "agency of North Carolina government or its subdivisions"? Agencies with public records (i.e., public agencies) are broadly defined as "every public office, public officer or official, institution, board, commission, bureau, council, department, authority or other unit of government of the state or of any county, unit, special district or other political subdivision of government." To highlight the breadth of this definition, the North Carolina Court of Appeals has held that the Wake County hospital system is a public agency within the meaning of the public records laws. Even though the hospital is a private, not-for-profit corporation, the County's ownership of hospital premises and the County's control over the approval of the hospital's budget and board members render the hospital a public agency for public records purposes. How are public records obtained? A schedule of fees for the production of copies in each available form. Public agencies also are responsible for maintaining the safety or integrity of their public records. Public agencies are required to store public records in safe locations to the extent practicable. Records often are kept in fireproof safes, vaults, or other locations, and electronic records frequently are protected through a delineated system used to backup the electronic data. Every custodian of public records shall permit any record in the custodian's custody to be inspected and examined at reasonable times and under reasonable supervision by any person, and shall, as promptly as possible, furnish copies thereof upon payment of any fees as may be prescribed by law. Any person or entity is entitled to inspect public records. Out-of-state businesses and residents have the same inspection rights as North Carolina businesses and residents. The Public Records Act also protects a person requesting public records from having to disclose the purpose or motive for the request. A reason or justification for inspection is not required. Furthermore, even if confidential information is commingled with non‑confidential information, a public agency is not allowed to deny any request for such public records. The agency must undertake the task of separating the confidential information from the public information, and the public agency must bear all costs associated with this separation of non-confidential information. The specific inspection procedures are set by each public agency, so it is helpful to contact each relevant public agency to discuss its specific inspection parameters. Many public agencies provide some or all of their public records online, and some agencies may be willing to fax such information, if an appropriate fee is paid. In the event a public records request is denied, the party requesting the record is allowed to file a lawsuit in the North Carolina courts to compel the release of the public records. If the court rules that access was denied improperly, it will order the agency to disclose the records. 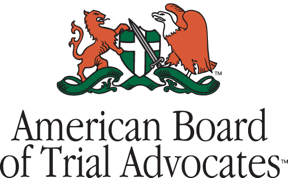 Additionally, the court can order the agency to pay attorneys' fees to the party denied access if the agency acted without "substantial justification in denying access" and if "there are no special circumstances that would make the award of attorneys' fees unjust." Courts, in fact, on numerous occasions have awarded attorneys' fees to persons denied access to public records, and the potential for a public agency to have to pay these costs encourages public agencies to satisfy their obligations under the Public Records Act. Public records are wonderful tools which, when properly used, can open up a world of information to a person or business. Business owners should take the time to understand the vast nature of public records and how to make use of them. © 2010 Ward and Smith, P.A. For further information regarding the issues described above, please contact Alexander C. Dale or Allen N. Trask, III.